﻿ Tillotson Trading Linens Dishes, Etc. 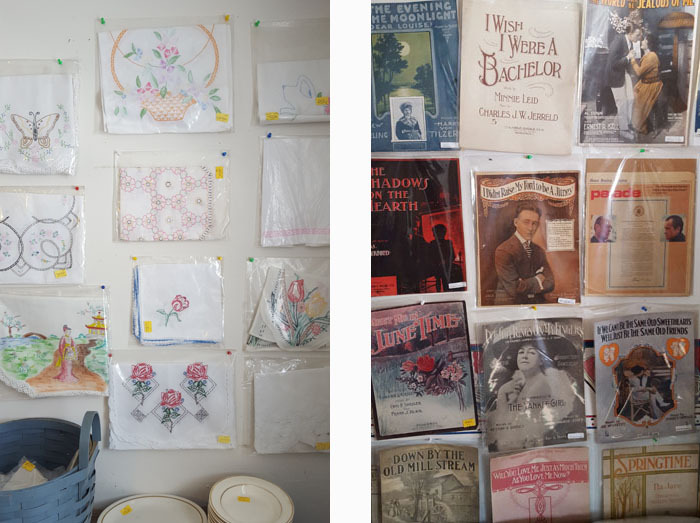 Come see our large variety of linens, dishes, sheet music, knick knacks and more! There are many treasures to find in our upstairs showroom. 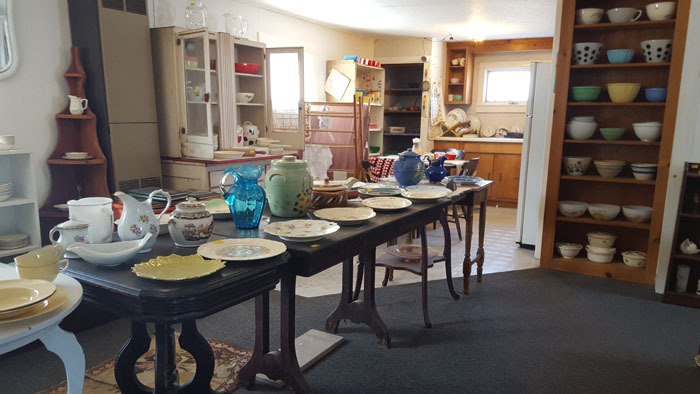 We have cookie jars, pitchers, candy dishes, serving trays, vases, planters, depression glass, and a large selection of Pyrex, Hazel Atlas, Fire King, and pottery bowls. 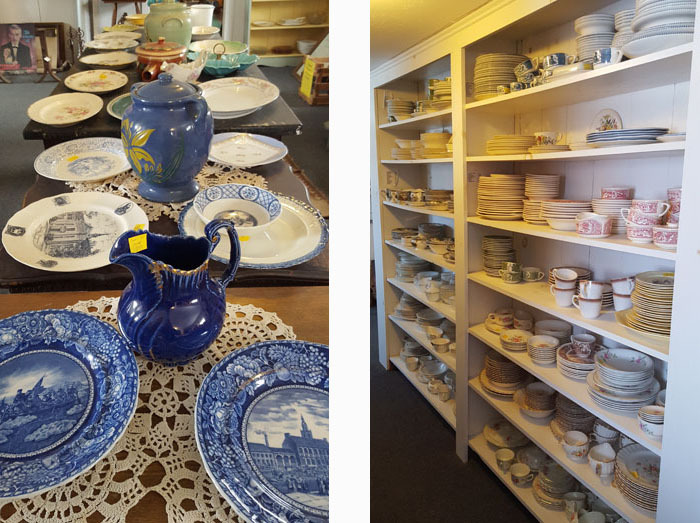 Our inventory of dinnerware patterns includes Friendly Village, Currier & Ives, Colonial Homestead, Royal Mail, Memory Lane, Homer Laughlin, FireKing, etc. We also have a colorful array of vintage linens including embroidered runners, tablecloths, pillow cases, towels, and handkerchiefs. We have an extensive collection of songbooks and sheet music ranging from the colorful large format pieces from the early 1900’s, the art deco sheets from the 1920’s, and sheets featuring famous artists through to the 1960’s. If your music preference is in country western, hymns, musicals, or movies, you will find a variety of song choices. If your interests are in a particular artist, we have many sheets featuring Perry Como, Bing Crosby, Tommy Dorsey, Eddie Fisher, Sammy Kaye, Guy Lombardo, Dean Martin, Vaughn Monroe, Rudy Valee, Kay Kyser, Blue Barron, Percy Faith, and many more. It is worth contacting us as that elusive piece of music missing from your collection could be here waiting for you.